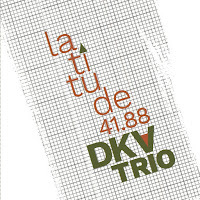 In 1994 Ken Vandermark (reeds), Kent Kessler (double bass) and Hamid Drake (drums) formed DKV trio. 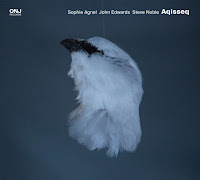 By the end of the 1990s they were one of the most prominent groups in free jazz and improvised music; recording numerous albums documenting their magic, mostly as a trio but also in collaboration (e.g. Fred Anderson or Joe Morris). In more recent years, they released two excellent box sets documenting live performances Sound In Motion and Past Present, a sextet recording including Mats Gustafsson, Massimo Pupillo and Paal Nilssen-Love and a double trio with all members of the thing. Their most recent effort, Latitude 41.88, is a trio live date recorded at the Sugar Maple in Milwaukee in 2014 by David Zuchowski and released on the Polish Not Two label. The albums starts “Faster Then It Would Be” featuring a free blowing Vandermark on tenor saxophone, quickly joined by a bowing Kessler and a more subtle, colouring Drake; working their way into a funky groove initiated by Vandermark, promptly supported by Drake and Kessler. 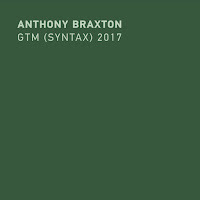 From here, the trio really joins as a unit and weaves threads of free and groove into a polyrhythmic web propelling Drake into a contagious solo. Following Drake’s solo, toe-tapping continues when Vandermark adds a catchy melody that develops into the climax of the piece. To clear satisfaction of the audience and this listener, well-earned applause. “20th Century Myth” finds Hamid Drake solo, searching for other worlds on his drum kit. He is a real adventurer, taking us all around the world musically. 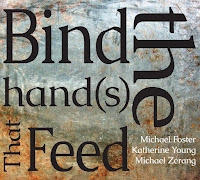 Free phrases intertwine with tribal rhythm and world music. After 5 minutes, he settles and is joined by a gentle Vandermark, and supported by a deep bowing Kessler. The track continues into a pulsating rhythm initiated by Vandermark and collectively develops and fades into a deeply wailing free blues. 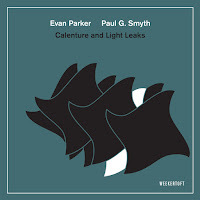 “Uncontrolled Writer” finds Vandermark on clarinet squealing through high registers, overtones and harmonics before settling with gentle cymbals and plucked strings. 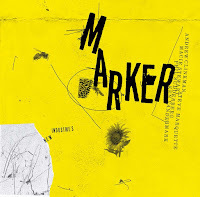 Vandermark quickly switches back to saxophone and is propelled into a groove by Drake’s brushwork that is – all too – briefly interrupted for a nice pizzicato solo on double bass by Kessler. The trio joins forces and finishes off the set with a catchy climax, answered with loud cheers and applause by the audience. This is a really tight record by masters of free music that have been all over the scene for the past 25 years. Highly recommended. You should own the record, if only for the second track. P.S. : DKV trio recently toured Europe with Joe McPhee as guest. Currently the quartet is touring North America. If you are in the neighborhood, don’t miss out. Hopefully, this collaboration will be thoroughly documented and released in the near future. New Ears Vote: Happening Now!